The suburbs of southwest London make a curious home for the head of a global caliphate under attack for its brand of Islam. 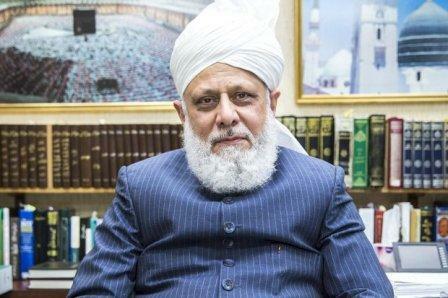 Hazrat Mirza Masroor Ahmad, the fifth caliph of the persecuted Ahmadiyya Muslim sect lives in exile in Southfields, a mile or so from the All England Club in Wimbledon.Two weeks ago an Ahmadi shopkeeper in Glasgow was stabbed by a fellow Muslim because he had “disrespected the Prophet Muhammad”. 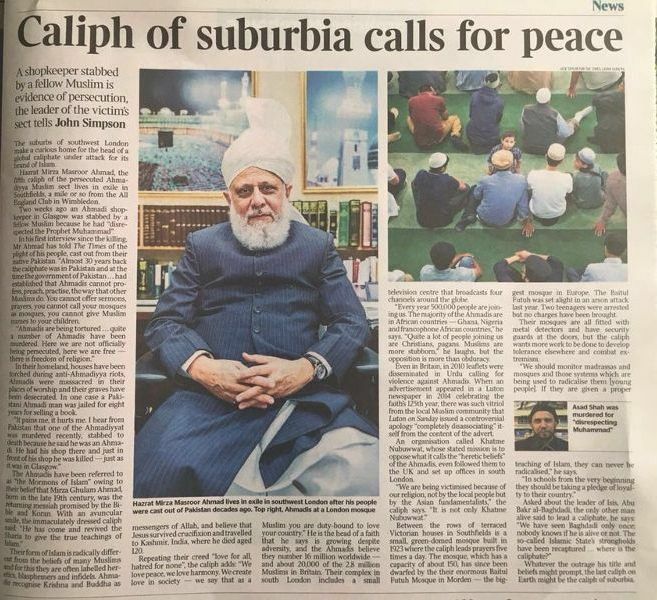 Share the post "Caliph of suburbia calls for peace"